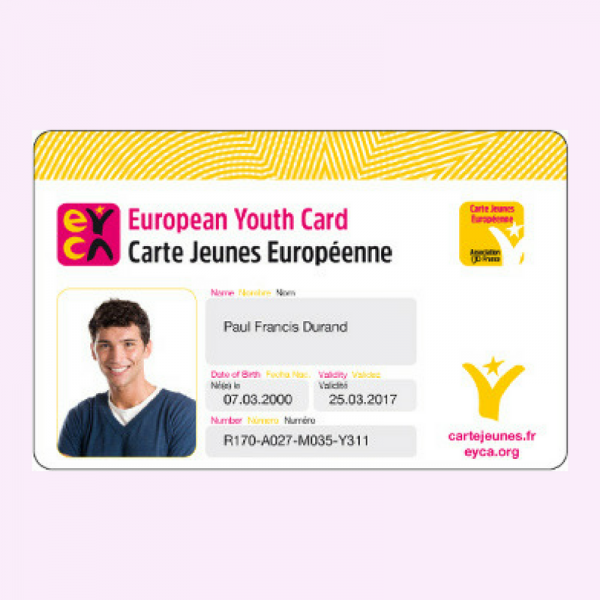 (1) The Carte Jeunes Européenne (European Youth Card) is accessible and available from 12 to 30 years old until the day you turn 31. The period of validity of the card is one year. If you buy it after you turn 30, the period of validity is still limited until you turn 31 and is thus valid for less than a year. (2) Upon presentation of a scholarship certificate. (3) Prix sous réserve d'erreur typographique.